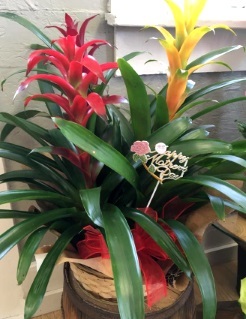 Call Frogs and Flamingos Florist… Where flowers are uniquely designed and affordably priced! 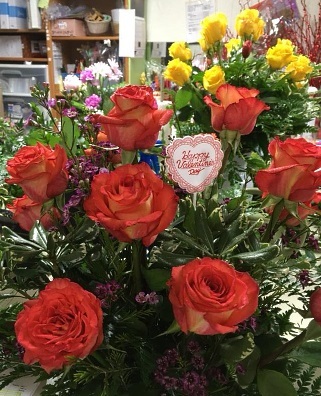 Our shop is a local LaGrange, Texas florist delivering courteous and professional service along with the highest quality floral and gift items around. Our talented designers have over 25 years of floral experience and can customize an arrangement that suits your particular occasion, as well as your budget and the style you prefer. 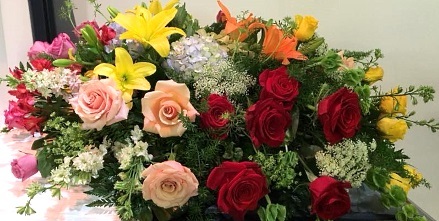 We’ll make your flowers more than a memory at Frogs and Flamingos Florist. We are ready to assist you with placing orders for local delivery or anywhere in the world. If you’re not sure what to send, please let us offer some creative ideas. We also offer delivery service to local funeral homes, cemeteries, and hospitals for your convenience. 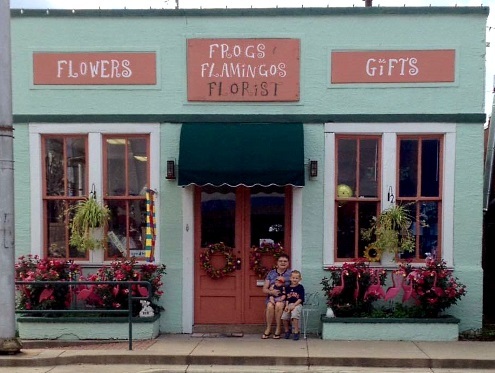 Frogs and Flamingos Florist is open to serve your floral and gift giving needs: Monday through Friday 8:30 am to 4:30 pm and Saturday by appointment only. Closed Sunday. 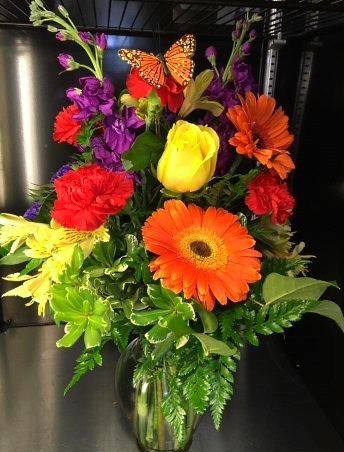 Ask our staff about customizing a funeral floral arrangement to a departed friend or loved one. You can depend on us to help you choose sympathy flowers that thoughtfully convey your heartfelt condolences and serve as a lovely tribute to the deceased. Liven up any room or office with an eye-catching dish garden, tropical plants, green plants or blooming plants. We carry unique gift items for all seasons and all reasons, including Aspen Bay candles, Trappe candles, inspirational gifts, all occasion gift baskets, home décor, yard décor, silk floral arrangements, balloons, seasonal plush animals, and more! Call or visit us today… we look forward to meeting you! Thank you for visiting our website for flowers delivered fresh from your local La Grange, TX florist, Frogs & Flamingos Florist!